Men & Women: Ask yourself these questions. Have you noticed your hair is thinning? Have you asked your stylist for different ways to style it to hide the thin sections. Are you starting to wonder if you may be facing a lifetime of baseball caps? And now, just to make matters worse, you have a special event coming up. A wedding (yours or someone else’s) – a class reunion – the vacation of a lifetime. Regardless of the type of event, you know there will be lots and lots of pictures and you worry that you may not have the confidence to be happy in any of them! Instead of dreading that special event perhaps it can be your incentive to finally speak to a specialist about your hair loss. Many people are either too afraid to ask about it, still believe that wigs or off the shelf hair pieces are the only options available or simply don’t know who to ask. We may have the answer you’ve been looking for! 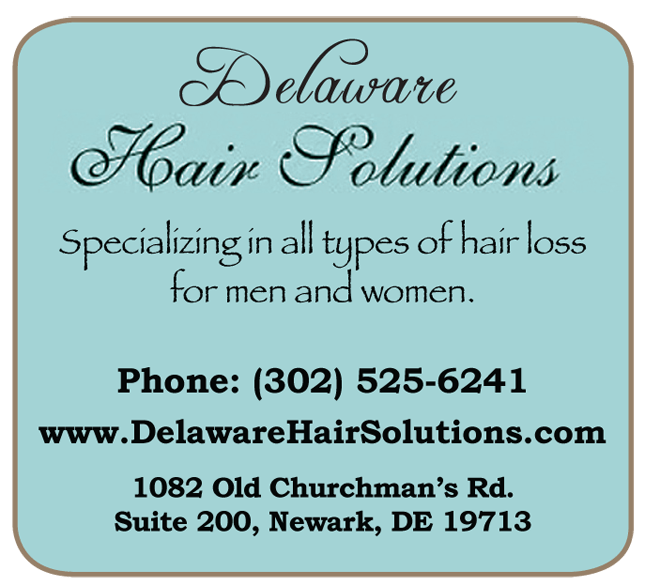 Delaware Hair Solutions in Newark, Delaware is a discreet salon specializing in non- surgical hair replacement options. Regardless of the severity of your hair loss or the date of the special event, we can help. And because this is all we do you will not have to worry about going to a large busy salon with other clients coming and going. Recently approved by the FDA to re-grow hair, LLLHT has taken hold in the market. In studies, 57% of individuals will re-grow hair, 85% will experience a halt in hair loss while 100% of users see a thickening of the hair shaft. 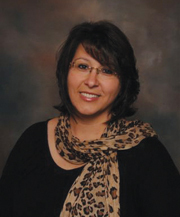 Success is seen in those individuals who are in their first five years of hair loss. Studies have shown laser increases circulation and oxygenation of the blood to the scalp and the hair thus reducing problems such as over oily or dry scalp, as well as dandruff and itchiness. Laser also removes calcification and other blockages around the hair bulb; as well as increasing cell replacement. In addition, it also improves the fullness, shine, body and elasticity of hair. 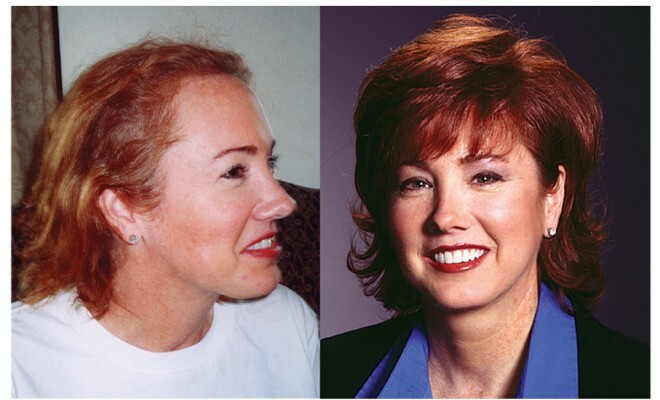 Non-surgical hair replacement is the choice for more and more individuals because of the advances in technology and the natural look that’s now attainable. The options currently available have made this the choice for many. Compared to all other options, hair replacement and hair systems represent an affordable method with immediate results for solving hair loss. If a person is not happy with the results, it can be reversed completely without any risk or scars. We specialize in customizing only the best quality human hair wigs to meet your specific needs. Wigs will always be the best solution for many women and can be either matched to your current color and style – or maybe you want a wig that is totally different than your usual look! “Recently I discovered that it’s still worth dreaming, and magical moments happen daily. It all depends on your attitude. Circumstances may change; but we don’t have to. I discovered that my life is 10% what happens to me and 90% how I react to it.” ~ Marilyn D.
Delaware Hair Solutions does not believe in hard sell consultations. We will examine your situation, explain the options we have that might work for you and you decide where you want to go from there. If you are anxious for a solution ASAP, we will work with that. If you need time to process the information, you call us when you are ready to proceed. It is all up to you! ← Previous Story Start The New Year In Style!